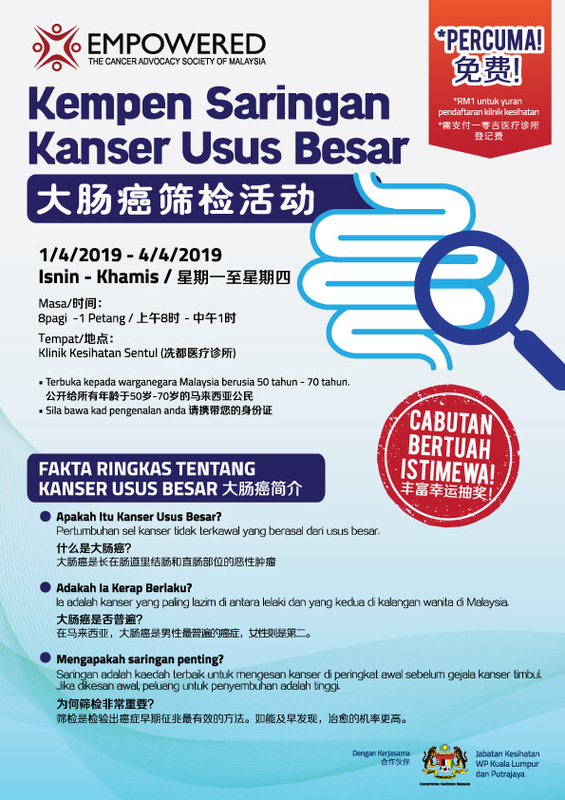 EMPOWERED - The Cancer Advocacy Society of Malaysia (Persatuan Advokasi Kanser Malaysia)'s mission is to save lives, prevent cancer and serve the poor who are afflicted with cancer in Malaysia. EMPOWERED was formed primarily to help and assure the poor that cancer is not a death sentence. EMPOWERED recognizes that health is usually a low priority in the lives of low income community residents due to their pressing survival needs. And due to the myths and unnecessary fears many of them may have about cancer and its treatments, the residents may make wrong decisions about their health. EMPOWERED aims to equip the residents with the education and support they need to make important changes in their lifestyles by bringing personalized cancer programs right to their doorsteps. In a nutshell, EMPOWERED brings cancer education, early detection screening programs and personalized support into the homes and communities of low income Malaysians.